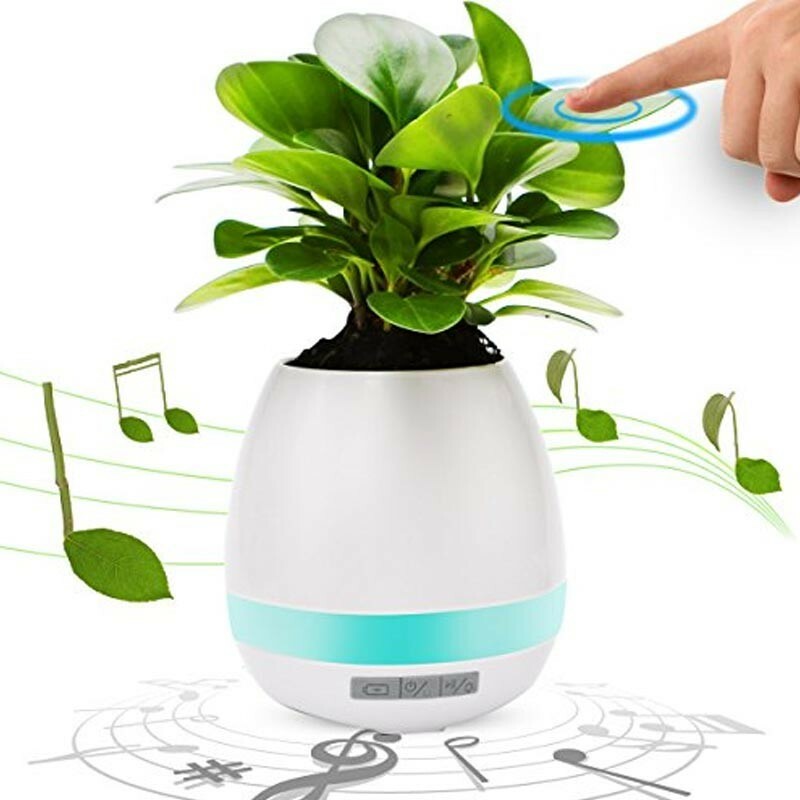 Creative Bluetooth Smart Music Flowerpot Speaker By touching the real plant, you can make this flowerpot make a wonderful piano sound, it is also a bluetooth speaker with night light! 1.The product has low-power sleep model design, there's no "off" button. Under Play Mod it will automatically turn off in 15min if nobody touches the plant. Under Night Light Mode, it will auto off in 30min. If connects to power supply, Play Mode or Night Light Mode won't turn off itself. 2.If turn on Qplant-1,find the light blink for 3 times, that means the battery is low and need to charge. If you cannot turn on Qplant-1, please charge Qplant-1, wait for 10min then try to turn on it again. 3.If there is a strong electromagnetic interference around such as electric motor, Microwave oven, induction cooker, will also cause Qplant-1 works abnormally. 4.The material of Qplant-1 is waterproof. But You need prepare a plate for water leaking in fare to dirty your desk.